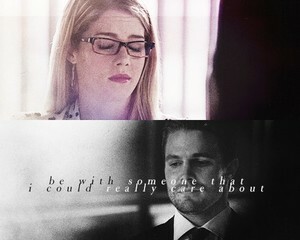 Oliver/Felicity. . Wallpaper and background images in the Oliver & Felicity club tagged: photo arrow olicity. This Oliver & Felicity fan art contains बिजनेस सूट. There might also be सूट and कपड़े का सूट.